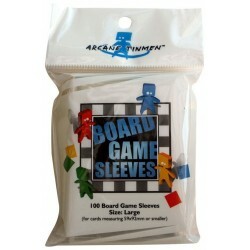 Arcane Tinmen There are 4 products. 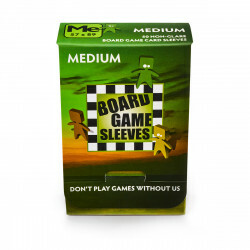 The Arcane Tinmen line of transparent board game sleeves come in eight different sizes suitable for a variety of board games. 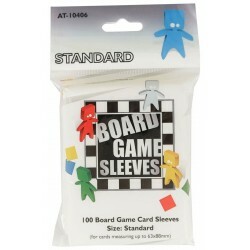 50 non-glare board game card sleeves For cards measuring up to 57×89 mm (21/4 x 31/2”). 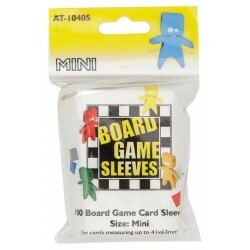 This size is typical for large cards in most American board games like ‘Munchkin’, ‘A Game of Thrones’, ‘Ticket to Ride’ variants and many more.